A number of European retailers have started listing new Celeron and the Pentium Gold-branded processors, which indicates that the world’s largest CPU supplier is about to formally announce the products. Topping the list of new processors is the Pentium G5620, which happens to be Intel's first Pentium-branded CPU clocked at 4 GHz. The list of budget-focused dual-core processors includes seven SKUs: the Pentium Gold G5620, the Pentium Gold G5420, the Pentium Gold G5420T, the Pentium Gold G5600T, the Celeron G4950, the Celeron G4930, and the Celeron G4930T. The key selling points of the new processors are their higher clockspeeds when compared to predecessors. At this point we don't know what architecture Intel is using – if it's Kaby Lake, Coffee Lake, or Coffee Lake Refresh – however the distinction between the three is largely academic, since these are locked processors with few active cores. Coffee Lake Refresh would be ideal, since it includes Meltdown and Spectre hardware mitigations, but as we've already seen with the high-end chips, the hardware fixes aren't any faster than the software fixes; they're just more convenient. 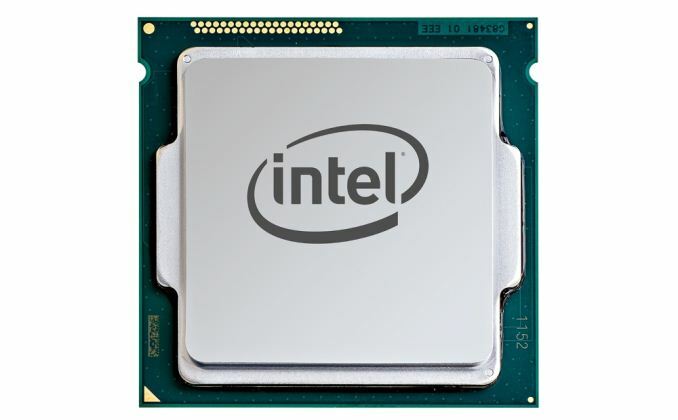 According to Germany-based ISO Datentechnik and Finland-based Futureport online stores, the new CPUs from Intel will be available starting from early March. But since that information does not come directly from Intel, it may not be completely accurate. Intel originally planned to release its Pentium 4 processors based on the NetBurst microarchitecture and clocked at 4 GHz sometime in the middle of the previous decade. At some point, Intel stopped development of its Tejas generation of NetBurst processors cancelling all the products in the lineup, then the company cancelled release of Pentium 4 4.0 GHz CPUs featuring the Prescott, and the Prescott 2M designs due in 2005 – 2006. Later on the company released numerous Core-branded processors clocked at 4.0 GHz and higher, but frequencies of Pentiums topped at 3.8 GHz. While this may be the first official 4GHz Pentium, I haven't heard of a single Pentium EE 965 from 2006 that couldn't do 4 GHz just by ticking the multiplier up one notch. Whoa, Intel...slow down there. We can only take so much excitement and innovation at once.